The discovery of the laws governing the structure and dynamics of complex systems is one of the greatest challenges of modern science. The U.S. National Research Council defined it as one of the 6 major scientific challenges for Physics in this century (“Understanding Complex System”, Physics in a New Era, National Academy Press, 2001). These systems are characterized by the presence of different levels of self-organization, each of which determines the behavior of the next. The most important property of complex systems is the impossibility to predict their overall behavior from the knowledge of their individual properties or as if they were isolated system’s components. Complex Systems Science is an emerging phenomenon that results from the interaction of different disciplines. It is not an overlap of several fields, but the fusion of knowledge, models and techniques coming from many areas. Understanding and predicting the behavior of these systems is of great importance in contexts as diverse as socio-economic, biological or technological fields. The Science of Complex Systems not only provides a way to answer open questions, but also promotes a new language and the introduction of concepts of great importance for the future. One way to address the problem of complexity in such systems is by studying their structure and function. During the last decade, important discoveries show that there is a common pattern of self-organization that emerges over and over again in different complex systems. Somehow, the interactions between system elements (species, individuals, genes, proteins, routers) that occur in real systems (physical, biological, social and communication) give rise to networks that share a large number of common features. These are the so-called Complex Networks (Physics Reports 424, 175 (2006)). like protein interaction networks, share many structural (scale-freeness) and dynamical (functional modules) features with other seemingly different systems such as the Internet and interaction patterns in social systems. Thus, systems as diverse as peer-topeer networks, neural systems, socio-technical phenomena or complex biological networks can be studied with a unique theoretical and computational tool. Although we have obtained outstanding results in this research field, we have not yet progressed enough in basic theoretical aspects, especially, in the application of generated knowledge to the characterization and exploitation of real systems. On the other hand, there are still many unknown systems and processes in which the new discoveries and techniques developed in the last years can shed light and provide novel results. For example, why scale-free networks are ubiquitous in Nature? 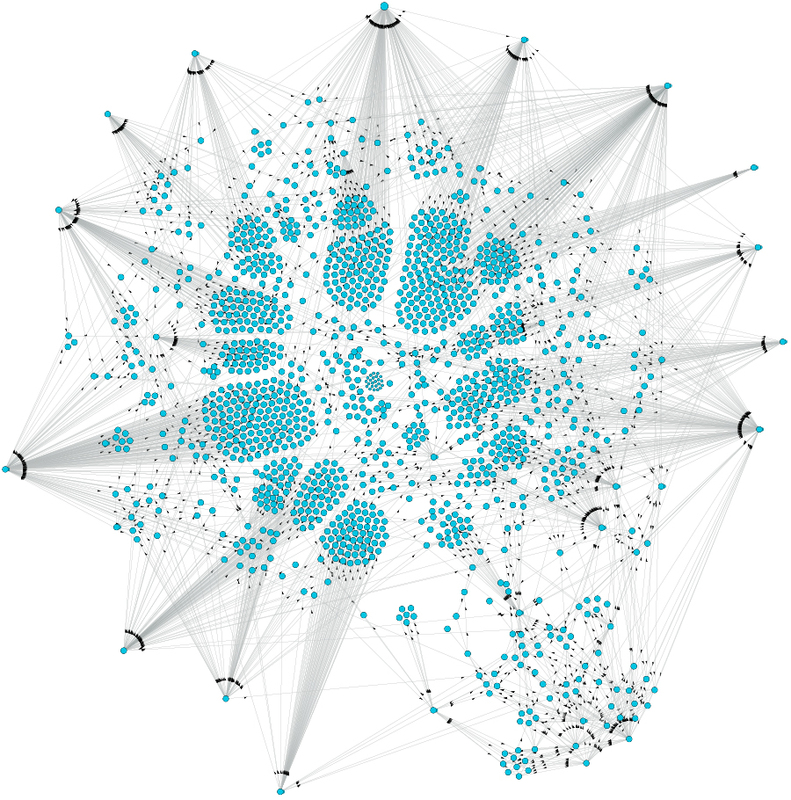 Are there universal principles that govern the growth and evolution of these networks? How the dynamics of local interactions are spread and integrated into the global scale? And, in turn, how the macroscopic behavior of the system modulates interactions at lower scales? Finally, are there common patterns that can be identified not only structurally, but also in the functional organization of these systems? The latter and other questions should be studied in coming years by adopting new perspectives and approaches based on multidisciplinary research. The research results have important applications in problems such as the modeling of biological processes at the molecular and cellular levels (metabolism, gene expression, etc. ), the study of epidemic dynamics, the characterization of transport and diffusion processes in networks and communication technologies, several synchronization phenomena and the emergence of collective effects with applications in neuroscience and social systems. The ultimate goal is to understand the general principles governing these biological, social and technological systems in order to be able to predict, design and control the behavior of a wide range of real systems. More details about each specific research line can be obtained by following the homepage items: Socio-Technical Systems, Epidemiology, Biological & Human Systems and Network Theory.